Forbes magazine calls it “a parable of what’s wrong with health care [costs].” We think that the popular drug Nexium is a scandal for a different reason – what it does to your digestion. AstraZenica, the international pharmaceutical company worth $46.8 billion, began selling a drug called omeprazole in 1989 under the brand name Prilosec. It is a proton pump inhibitor, and it was marketed as a treatment for heartburn, peptic ulcer disease, and GERD (gastroesophageal reflux disease). Two years before the patent expired, AstraZeneca changed the formulation slightly and started selling it as a new patented drug, Nexium. What the drug company did not want was for consumers to stay with Prilosec, essentially identical to the new drug, once the old drug came off patent and the price collapsed. This strategy worked. 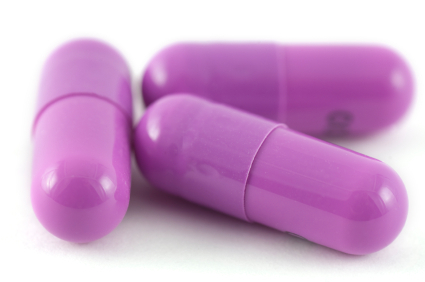 Nexium is easily AstraZeneca biggest seller, bringing in $5 billion so far. And part of that is its cost: $2,000 for a year’s supply. While the drug company says an average consumer only pays a $30 co-pay for Nexium, a recent Forbes article points out that the rest of us are paying for it with higher health insurance rates. The article also provided more details about how the company managed the switch from Prilosec to Nexium: “Intense marketing around Nexium coincided with price increases for Prilosec, pushing many patients to Nexium. Doctors, easy to woo with drug sales reps bearing samples and company-commissioned research reports, were happy to write scripts for the new drug—and oblivious of the economic implications. Insurers and their corporate clients mostly wimped out, paying full freight for Nexium. Nobody wants to be the bad guy with employees’ health coverage. But the sum of many dubious coverage decisions adds up; the nation’s health spending keeps rising at 5% to 6% a year.” Prescription drug spending accounts for about 10% of the total health pie—which is estimated to be around $260 billion for 2010. This is scandalous in a number of ways. First, Nexium is little different from Prilosec, which can be purchased for $13.50 for a month’s supply at Costco. The difference is, one version is patented and the other is not. The company has always justified the drug by pointing to a single study that found Nexium was three percentage points better at preventing a rare form of esophageal damage than Prilosec. But even worse, as we reported last year, acid blockers like Prilosec and Nexium incorrectly treat most people’s stomach problems, including heartburn and GERD, by turning off acid production. While it seems counterintuitive, recent studies suggest that the problem for most stomach sufferers is not too much stomach acid, but too little! Other maladies—bloating, belching, constipation, indigestion, and even thinning hair or breaking fingernails in women—may also be the result of too little acid. So antacids may actually be making the problem worse. If antacids and acid blockers are a cause rather than a cure for stomach problems, this would rank as one of the major medical errors of history. For more information about why most stomach sufferers may need more stomach acid, not less, see Your Stomach by Dr. Jonathan Wright.